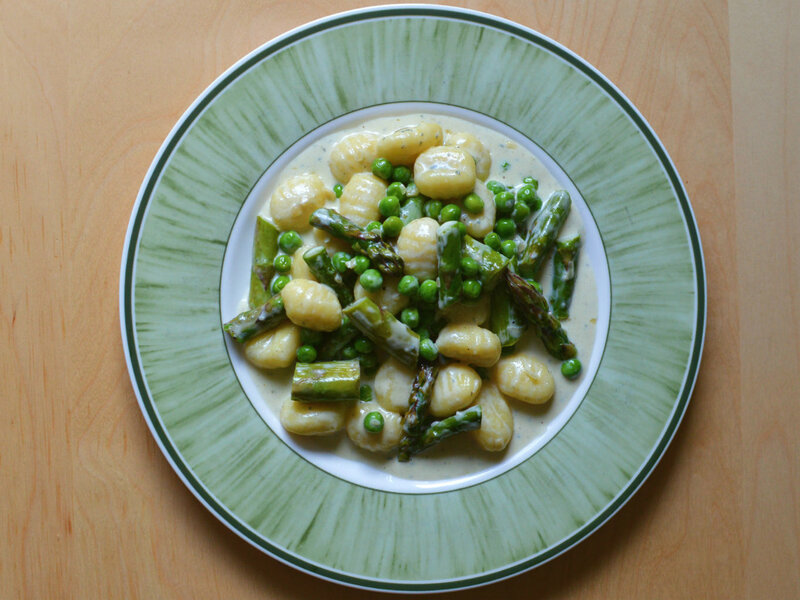 Finely dice the shallots, cut the asparagus in roughly the same size as the gnocchi. Cook the gnocchi according to package (usually just a few minutes). Add the peas to the pan with the sauce. Drain the gnocchi once they are ready and add to the creamy sauce. Mix until everything is coated then add the asparagus and shallots and toss to combine.